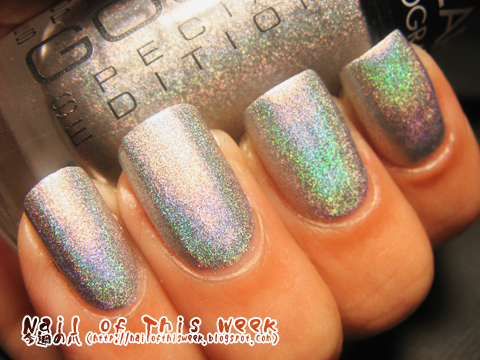 Holothon #26: GOSH Holographic Hero : Nail of This Week. 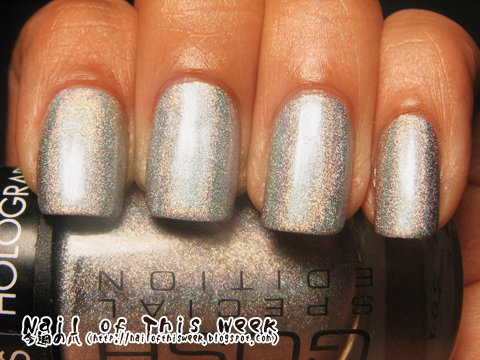 Thanks to Hannah from PollyPolish, today’s man’s pick-up is renewed silver holo from GOSH, Holographic Hero! 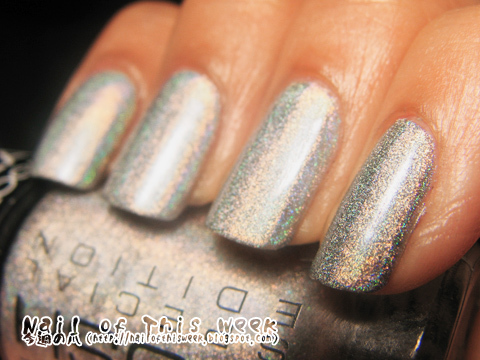 Sadly it’s not as strong holo as original GOSH Holographic, but soft holo effect is kinda unique and very nice. 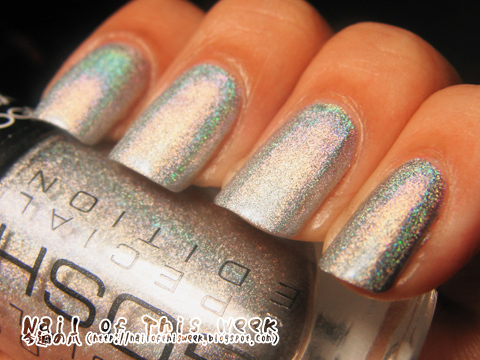 I just wonder if this one is using spectraflair or not; it looks a bit different from itself. Is this only me?